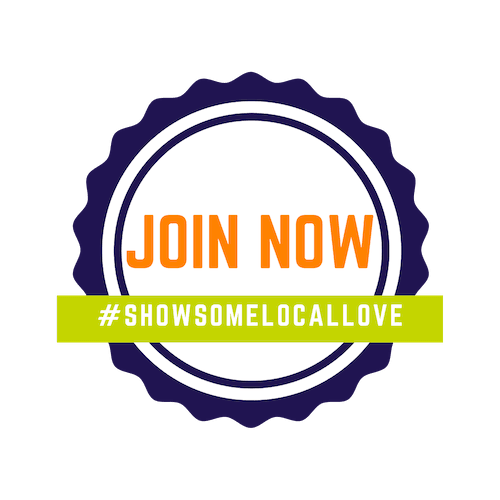 You are here: Home / Small Business Saturday – 2017 Specials! Shop Local Raleigh members are celebrating Small Business Saturday with some amazing specials! Show some Local Love this Small Business Saturday, November 25, 2017 by shopping small and shopping local. An amazing 30-50% site-wide sale going on the entire holiday weekend through this coming Monday. Black Friday – 10 a.m. until 5 p.m. & Small Business Saturday – 9 a.m. until 2 p.m.
You must call or come in on Friday or Saturday to book these special prices! 919-307-8033. It’s a Festivus for the rest of us! Use this pass to bring a little more yoga practice to your holiday season. Purchase as many as you like, but please note that all Festivus passes expire December 31. No refunds, no extensions, no exceptions, no airing of grievances. The feats of strength are up to you. boo-tique sale: If a gift card feels too impersonal, let us help you craft the perfect gift for your favorite yogi! Bundle any three items and get 25% off! Your yogi will thank you, and so will we! Sale runs in conjunction with The Festivus Miracle: November 24 – December 3 only! Whole house carpet cleaning, 4 rooms, hallway, and stairs for only $195! PLUS – 20% off Area Rug Washing! 10% off entire order at both locations! *discounts are on items purchased and excludes personalization. May not be combined with any other coupons/offers. PLUS :: ALL DAY SALE :: on all Charles River Fleece, in stock, marked down to $45, regular price $54.75. 25% off All Solid Black Clothing! 25% off Sweaters, Jackets and Coats! Clearance Rack of 30% to 75% Off! Stop by Joint Venture Jewelry on Black Friday and Small Business Saturday to put your Holiday Wishlist together! Our expert jewelers will assist you and help take the guess-work out of the equation for your gift-givers! Gift cards can be purcahsed at any JMR Kitchens location or online. Bonus cash will be given for qualifying gift card purchases made between November 3 – December 24, 2017. Bonus cash cards are redeemable January 1-31, 2018 at any JMR Kitchens Location. See website for the full details. Black Friday & Small Business Saturday: Free coffee drink with the purchase of a gift card $25 or greater. Wine and beer to-go is 25% off everyday! 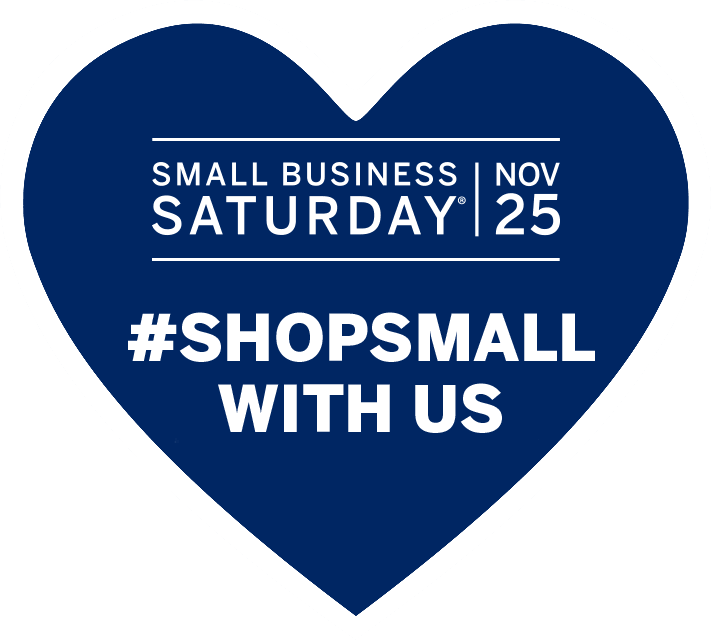 Small Business Saturday | Gift with purchase! #PayingItFord and donating 15% of all sales through Giving Tuesday to The Ronald McDonald House of Chapel Hill. Visit www.neomega3.com to place your order! All watches are on sale from now until Christmas for the incredibly low price of $55 to $75! Visit www.oaccitywatches.com to place your order! Will be serving delicious home-baked cookies all day long! Each shopper who purchases something on the 25th will receive a coupon for use Nov. 27 – Dec. 31, good for $10 off any purchase of $25 or more. AND by posting #shopindiesfirstsweepstakes and tagging @quailridgebooks on Instagram or Twitter, shoppers will be entered to win $1,000 worth of books sponsored by Penguin Random House and the American Booksellers Association. Shopping for the best deals on fine jewelry? Raleigh Diamond has a 30% OFF SALE for three whole days: Fri Nov 24, Sat Nov 25, and Mon Nov 27. Sale includes engagement rings, wedding bands, three stone jewelry, and much more! (Excludes loose gems, custom design jewelry, and Reactor watches already on sale.) What a great way to celebrate their 3rd anniversary of the store! Gift Basket Bonaza! – Come eat and drink around the shop while perusing local gifts! Meet some of your favorite vendors and let them help you curate the perfect gift basket for everyone on your list. Join Sir Walt’s Wine Club or give Sir Walt’s Wine Club as a gift and receive 20% off on your next purchase (some exclusions apply). Offer valid Friday, Nov. 24 through the end of the month (11/30). First 50 customers to spend $100, get $100 to spend with us in 2018! Black Friday! Small Business Saturday! Stone’s Education & Toys is so excited, they are putting the entire store on sale for Friday, Saturday and Sunday! Whether you’re a teacher buying for your classroom or you’re shopping for some fabulous gifts for the holidays, this is your weekend to save!!! Not only will you beat the holiday rush, but you’ll discover a unique and personalized experience at their store. Join us for Proscecco or mimosas, along with chocolates and cookies! First 10 sales over $100 get this special shop local bag. Small Business Saturday: Free toy with any purchase at all 7 of locations! 20% off all holiday merchandise, including Mark Roberts on Black Friday, Small Business Saturday and Giving Tuesday! https://shoplocalraleigh.org/wp-content/uploads/2017/11/ShopSmall_FBCover.jpg 315 851 ShoppingLocal https://shoplocalraleigh.org/wp-content/uploads/2014/07/shop-local-raleigh-logo.png ShoppingLocal2017-11-14 19:49:112017-11-22 19:31:57Small Business Saturday - 2017 Specials!